I planned on reading the extremely short story by Charlotte Perkins Gilman for months now because of the positive reactions from other respected bloggers. I downloaded it onto my Nook, and once I read The Victorian Chaise-Longue by Marghanita Laski, I knew that The Yellow Wallpaper had to be next. But I took my time, and when Chrisbookarama peer-pressured recently urged others to read it, I thought, "Seriously, it's only fifteen pages, what have I been waiting for?" I read it in a flash last night. And was sufficiently freaked out. An unreliable narrator is married to John, a doctor, and they have a baby. Recently, they've moved to a small rental home and while she would prefer that she and her husband take a downstairs room that is pretty and airy, her husband decides that the upstairs room is the one they should stay in. Considering he prescribed rest to cure her from her recent ills (postpartum depression), it seems extremely bizarre that he should select the room for her daily containment to be one that was once a children's nursery, has ripped and aging wallpaper in it that is a ghastly yellow, and the windows have bars on them. When she begins to see the wallpaper moving and then starts to see a woman trapped in the wallpaper trying to get out, she does everything she can to figure it out and to help the woman escape. But it slowly becomes a murky undertaking for the reader to decipher what is real and what isn't. Is something sinister truly happening, or is it madness? Which is more frightening? It doesn't help that her husband and sister-in-law are skeptical of our narrator's health, but then are seen scowling at the wallpaper. At least, this is again according to the narrator as she writes her thoughts in her journal... so who to believe? Written in the first person, Charlotte Perkins Gilman has easily mastered the craft of a creepy and haunting story with frighteningly vivid descriptions, and has also successfully preyed upon a reader's eagerness and natural inclination to believe that the narrator is always right. When that is questioned in any way, it becomes uncomfortable and harrowing. With whom should you place your trust? Those who enjoyed The Victorian Chaise-Longue by Marghanita Laski will enjoy this short story. You see, he does not believe I am sick! And what can one do? If a physician of high standing, and one's own husband, assures friends and relatives that there is really nothing the matter with one but temporary nervous depression - a slight hysterical tendency-what is one to do? There are things in that paper that nobody knows but me, or ever will. Behind that outside pattern the dim shapes get clearer every day. It is always the same shape, only very numerous. And it is like a woman stooping down and creeping about behind that pattern. I don't like it a bit. 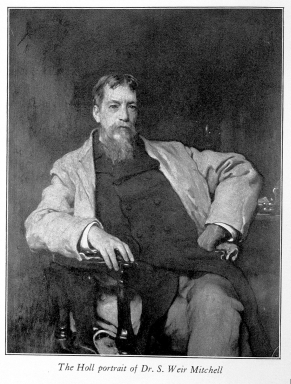 Silas Weir Mitchell, creator of the "rest cure," was an American neurologist. The rest cure was a treatment for hysteria and other nervous conditions, including neurasthenia, which Charlotte Perkins Gilman "suffered" from. Although it is no longer included as a diagnosis today, at one time (mid 1800s) neurasthenia was identified as a condition associated with "fatigue, anxiety, headache, neuralgia, and depressed mood." The "rest cure" was a common prescription for women more so than men during the Victorian era. Charlotte Perkins Gilman and even Virginia Woolf were advised to use the rest cure, and Perkins Gilman's interaction with institutions and doctors at that time contributed to the creation of this phenomenal story. Want to read more? Click here for The Science Museum (UK) and the University of Virginia has additional information that questions the negative perception he received after Charlotte Perkins Gilman's short story became popular in the 1970s. 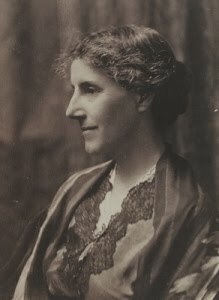 (Wikipedia) Charlotte Perkins Gilman was a prominent American sociologist, novelist, writer of short stories, poetry, and non-fiction, and a lecturer for social reform. She was a Utopian feminist during a time when her accomplishments were exceptional for women, and she served as a role model for future generations of feminists because of her unorthodox concepts and lifestyle. After the birth of her first child, she had a nervous breakdown and was prescribed the "rest cure," in which she was advised to not write at all during this period. 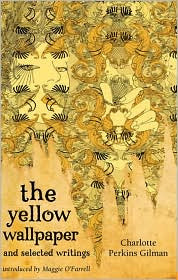 This exposure and treatment contributed to her writing The Yellow Wallpaper. Want to read more? Click here for more biographical information and click here for a list of her work (she is also known for Herland). Click here for the BBC dramatization of her life. I haven't seen it, although it sounds interesting. Note to me... I have finally contributed to two challenges. The E-book Challenge hosted by Ladybug Reads and the Victorian Literature Challenge hosted by Subtle Melodrama (words, words, words). After your post and Chris's post, I just downloaded this one. This is one of my favorites, and you've probably heard me ramble about it. It was one of the stories I used for my Master's thesis, and it IS totally freaky. I think it would be a great psychological thriller. Glad it hooked you! bermudaonion - Enjoy! I can't wait to see what you think of it!! This one sounds truly creepy! I'm studying postpartum depression in one of my classes right now so I'm off to download this book now! Thanks for all the great info about "rest therapy"! Yay! I'm glad you read it. This would be a perfect Halloween read. It's so creepy! Stacy at A Novel Source - Can't wait to read what you think about it, it would certainly be timely to read this short story with your current studies. This was written in the 1800s, so the author was way ahead of her time (per a Facebook fan comment, which is the absolute correct distinction for this author's genius!). Chrisbookarama - It is perfect for Halloween! Creepy and haunting, and in only fifteen pages! I have to admit I haven't read your review because...I seriously just got this from the library at the urging of a 16 year old girl. I'll come back and compare notes after I read! This one freaked me out, too! I wasn't sure what was going even after it was done; it really made me think. I'm planning on a re-read of this one for the RIP Challenge in the fall. Sounds nice and creeeeepy! I'm going to look for this one now. It sounds really interesting. I also got caught up in the hype of last year and downloaded this one as well. I haven't yet read it, and now I am wondering why! It does sound like it was a frightening and eye-opening read, and I really need to make the time for it. I loved reading your thoughts on it, and found your review to be very eloquent. Thanks for sharing it here today! I loved this one. I think one of the things that made it so powerful is that the author, as you mentioned, was forced to go through the "rest cure" for her own postpartum. So scary. Emily - Oh, my goodness, yay, I'm glad you checked out the story! :) I can't wait to read what you think of the story! Lisa - I'm with you, I'm still thinking about it. Freaky, right? Col (Col Reads) - I'll join you for that re-read for the RIP Challenge. It will be a good one to get October off to a right start! Jenny Girl - I'm including this one again in October. Looking forward to what you think of it - it's such a quick read! Mrs. Q: Book Addict - Enjoy! Look forward to your thoughts on it. Yeah I loved this one. And seriously, you can read it in an hour or so. But in that short time, it completely creeps you out. I also thought that the author's story was just as interesting as the fictional one. I loved this story -- if only because it highlighted how maddening it can be to be treated as an unthinking vegetable! I've never read it as literal but way more metaphorical -- that the wallpaper is her, struggling to get out and get away, and her husband and sister-in-law know it. So glad you read it! I'm glad you enjoyed this! Like you, I've been hearing a lot about this one too! I've seen this around, and have been intrigued on more occasions than one. I'm yet to read the Laski (Victorian Chaise Longue), but I've heard awesome things about that novella as well, so... so much to read, so little time. This is one of three short stories that I still remember from high school English class. I need to re-read it sometime!